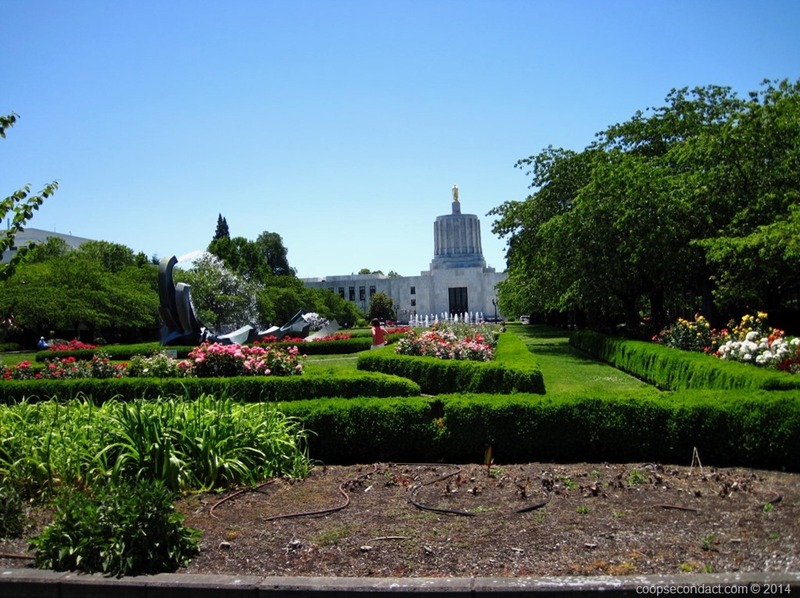 The Oregon State Capitol is located in the city of Salem which is only about 45 miles south of Portland. This is a working building that houses state executive offices as well as chambers for both branches of the legislature. On February 14, 1859, Oregon became the 33rd state to be admitted to the United States. The current Capitol building was constructed from 1936 to 1938. It is the third structure to serve as the Capitol, both of the earlier buildings were destroyed by fire.